Austin is a 24-hour town populated by an upstart mix of musicians, techies, film pros, athletes and foodies - and our yearly events calendar shows it. The Austin Marathon draws 20,000 runners from around the world. 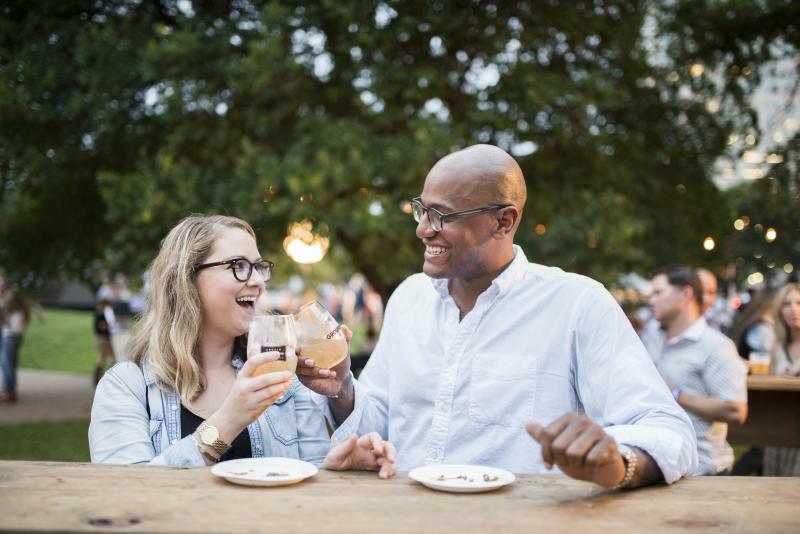 The Austin Food + Wine Festival welcomes visitors from across the nation and showcase the best innovative cuisine. Old Settler&apos;s Music Festival has been celebrating the best of Americana, bluegrass and roots music for more than 30 years; and Fantastic Fest, which features sci-fi, horror, fantasy and other genre films, has become a favorite of film buffs and celebrities alike. 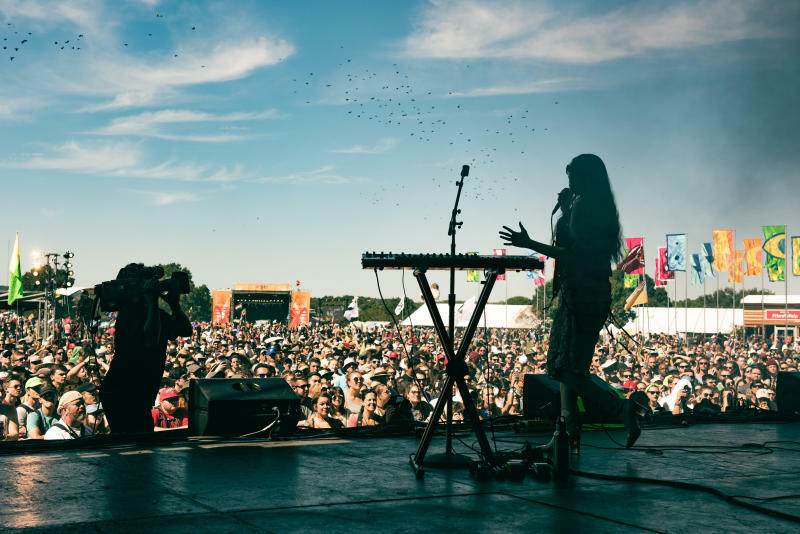 SXSW Music, Film and Interactive Conferences and Festivals expand every year and the Austin City Limits Music Festival will once again welcome 70,000 fans per day to Zilker Park for performances by more than 100 bands. Credit Charles Reagan Hackleman, courtesy ACL Festival. Here are our top picks for must-attend Austin events in the new year. Hundreds of local bands participate in this week of free live music that encompasses venues all over downtown Austin. March from the University of Texas to Huston-Tillotson University to celebrate Dr. Martin Luther King, Jr.’s legacy. Nearly 20,000 participants, 40 bands and a course through Austin’s scenic neighborhoods make this race a must-hit for everyone. Try every style of oyster at this annual food fest, while enjoying live Cajun and “newgrass” music. Experience authentic Brasileiro-style samba, costumes and wild abandon at one of the biggest Brazilian Carnaval celebrations outside Brazil. As one of Austin’s most progressive festivals, OUTsider brings together Austin’s LGBTQI community for five days of creation and inspiration. This multidisciplinary art festival showcases film, performance art, music, visual art and more. 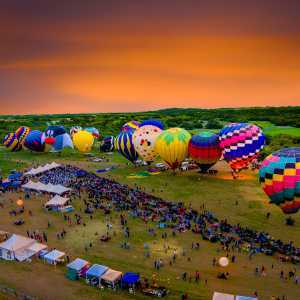 The nation&apos;s oldest kite festival features hundreds of kites in the air, kite flying contests, food, games and more all for free. Some 15,000+ fans converge on Auditorium Shores for this festival celebrating R&B, neo-soul and hip-hop music. The popular, American-bred IndyCar series tackles COTA’s curves, along with special COTA Super Stage performances from award winning bands. This racing series features more than 100 production-based cars that have been prepped specially for racing. There will even be access to the paddock to see the cars up close, hear the engines roar and speak with the drivers. Over the years, Rodeo Austin has grown from a show featuring 16 animals into one of Austin&apos;s premier events, featuring ProRodeo events, daily concerts, livestock show and more. 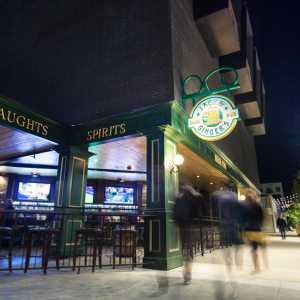 This family-friendly St. Patrick’s Day fest celebrates all things Irish. Come enjoy authentic Celtic music and dancers, Irish language workshops, the finest Irish imports and plenty of good craic! 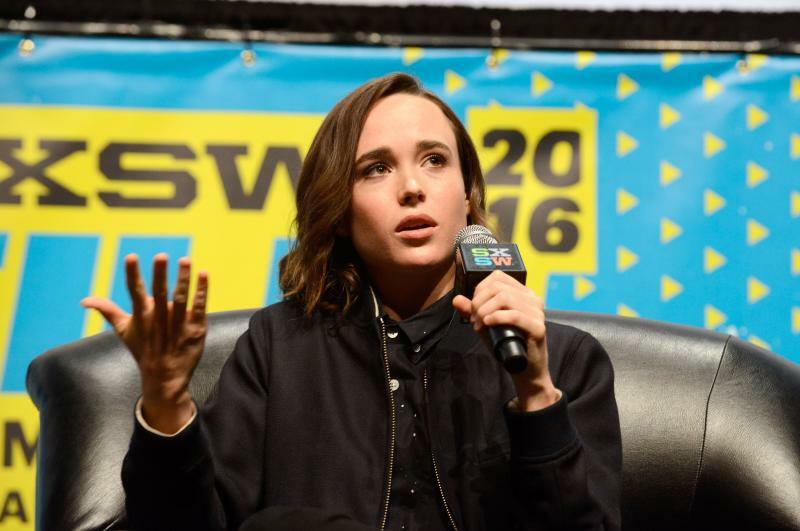 Ellen Page at SXSW Film. Photo by Robert A Tobiansky, Getty Images for SXSW. Noted filmmakers, musicians and thought leaders showcase music, film and interactive media at this international event. The WGC - Dell Technologies Match Play returns to historic Austin Country Club, bringing the top 64 golfers in the world for a weekend of golf action. Nearly 200 national artists, local restaurants, two music stages and art activities make this one of the city’s favorite festivals. Join top chefs, sommeliers and winemakers from across Austin and the nation for a three-day epicurean adventure unlike any other. 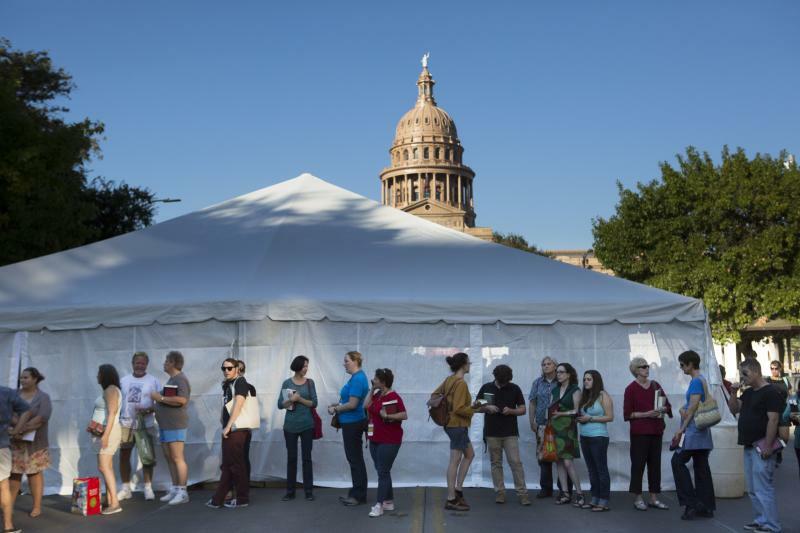 Poets from around the world, country, and all of Texas gather for four days of live performances, readings and workshops during the Austin International Poetry Festival in April. A fundraiser for the Central Texas Food Bank, Reggae Fest features three days of reggae, world and dub talent, along with more than 50 vendors selling food and arts & crafts. This hybrid arts festival champions adventurous works of art in theater, dance, film, music, literature, visual and culinary arts. A huge outdoor car show and live music festival with tons of vintage hot rods and custom cars driven here from all over the country, and bringing visitors from all over the world. Moontower Comedy & Oddity Festival, presented by the Paramount Theatre, brings the funniest comics to Austin each April. Central Texas&apos; signature music event features three days of Americana and roots rock live music from around the world, camping, family events, food and libations. Catch screenings of contemporary films and videos from Latin America (North, Central, South America and the Caribbean) and the Iberian Peninsula. Finding Euphoria is a progressive live music festival including electronic music, art, workshops, car camping and more. Come hungry and thirsty, and bring your dancin’ boots, to this eat-with-your-fingers food festival highlighting culinary know-how and live music. This one-day music festival showcases the most sought-after talent in hip-hop music today. Musicians, food vendors, artists and crafters turn Sixth Street–historically called Pecan Street–into a lively street fair. The West Austin Studio Tour is a free, self-guided tour that celebrates Austin’s talented and wildly diverse creative community. This free, annual literary event showcases new works by and about African-Americans. Courtesy of Austin Food + Wine Festival 2015. The first festival devoted to television, ATX Television Festival features premieres of new series, current hits and cult favorites. Games, activities, contests, live entertainment and, of course, ice cream, will keep you cool and happy in the Texas heat. Dress up in your quirkiest costume and release your ninja skills as you hit the obstacle course stop and cool down at the foam party fun stop. Performances from local bands and more rocking into the night. Venues throughout the Red River Cultural District host four days of free live music, alongside local food and vendors. This annual event features a star-studded lineup, headlined by Nelson himself, and a fireworks display at the end of the night. Join in one of the world’s largest hot sauce festivals, which attracts as many as 10,000 spectators each year. Don’t miss the festival and parade down Congress Avenue during the largest annual LGBTQI advocacy and fundraising event in Central Texas. Celebrate the world&apos;s largest urban bat colony, which takes up seasonal residence beneath the Congress Avenue Bridge, with live music, children&apos;s activities and a costume contest. Recognizing black filmmakers, the Capital City Black Film Festival provides a stage for burgeoning talent in the heart of Austin. Comedians from around the country head to Austin for this festival showcasing the best in improv, sketch and stand-up. The oldest and largest LGBTQI film fest in the Southwest is also the largest LGBTQI cultural event in Austin. The largest genre film festival in the U.S. specializes in horror, fantasy, sci-fi, action and more from around the world. The Texas Craft Brewers Fest is the largest beer festival for and by Texas Brewers, featuring the best of Texas craft beer and the thriving beer community across the Lone Star State. This annual event brings students, educators, journalists, politicians, policy makers and other political junkies to the Capital of Texas for three days of informative and engaging sessions. 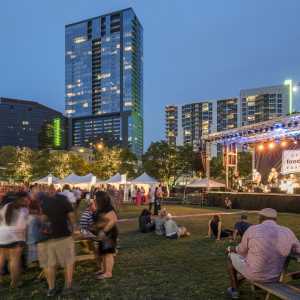 An independent festival that celebrates the roots of Austin music culture, featuring nationally renowned jam bands and the city’s finest musical acts, along with a weekend of camping. One of the country’s largest celebrations of music, this six-day festival includes 140+ musical acts over two weekends. Courtesy of Texas Book Festival. Enjoy readings, panel discussions, signings, cooking demonstrations, live music, local food, YA authors, children’s activities and exhibiting vendors. This one-day festival invites readers to engage with some of the best YA authors in the country. Viva La Vida is Austin’s largest and longest-running Día de los Muertos (Day of the Dead) festival, featuring a Grand Procession, art activities and demos, traditional foods, live music and performances throughout the day. A procession of giant balloons, marching bands, vintage cars, celebrities and floats usher in the season of giving. More than 70 eastside art studios and galleries open their doors for the public&apos;s viewing and purchasing pleasure during this bi-annual event. Experience three days of F1 racing, camping, live music events, headline performances by international acts and more. This independent festival has grown from a small word-of-mouth event to an internationally acclaimed, full weekend event that attracts attendees from all over the world. Visitors are invited to sample as many of Texas’ best BBQ joints as possible at one of Austin’s most delicious festivals. Shades of old Austin are reflected in the eclectic gifts and local entertainment from more than 160 artists and merchants here. 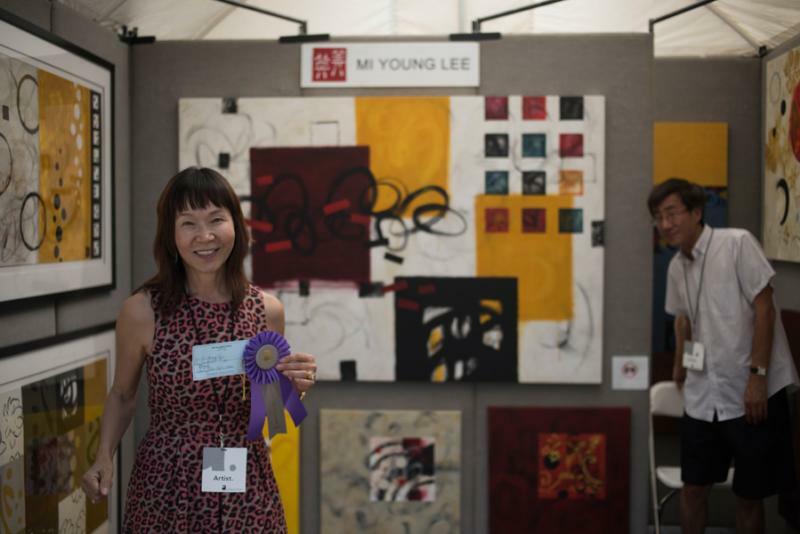 Asian and Asian-American cultures and experiences are promoted at this fest showcasing cinema and the creativity of Asian-American artists. Austin Trail of Lights. Credit Dear Wesleyann Photography. AMVFest celebrates Austin’s long-standing music video heritage with screenings, awards, parties, panels and workshops around town. This alcohol-free, family-friendly event celebrates the diversity and creativity of the city with 4 stages, 22 bands, visual art installations, jugglers, storytellers, fire dancers and a grand fireworks finale. 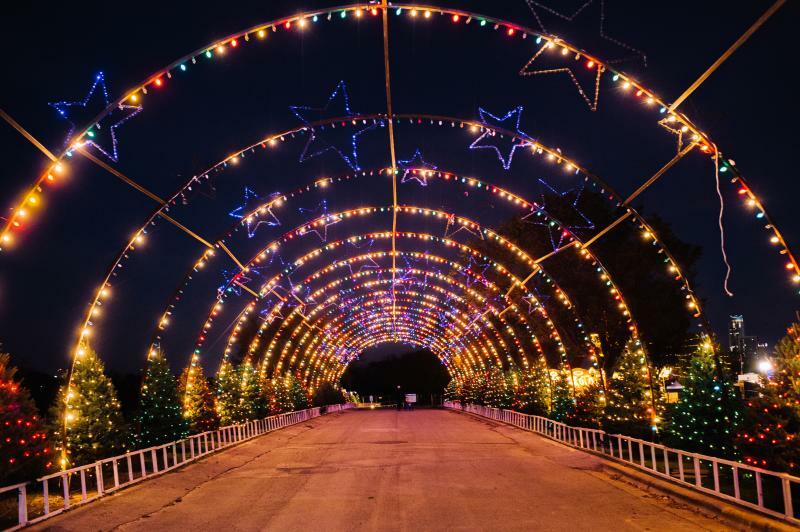 The Trail of Lights is part of the essential Austin experience, lighting up the season with a celebration of community, memories and fun. Plan your visit early and don&apos;t forget to take a spin under the Zilker Tree! This holiday event features Santa’s workshop, skating, a petting zoo, carnival rides, movies, shopping, a tunnel of lights and more.